Please note: this product is only available in Black at this time. 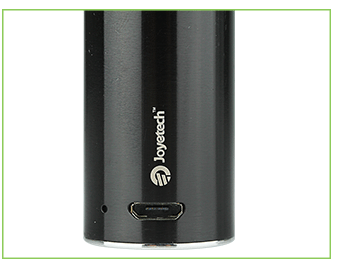 Joyetech eGo ONE Mega Battery- 2600 mAh, It's a tiny sized yet powerful e-cig battery! 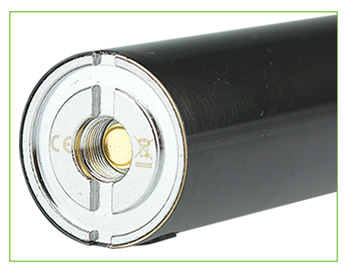 The eGo ONE has a built-in mAh polymer Li-Ion rechargeable battery available in 2600 mAh. Power on and off: press the button for 5 times in quick succession, the button light will flash 5 times to indicate eGo ONE Mega is already for use. In the same way, eGo ONE Mega will be powered off after 5 presses. Charging: simply charge the eGO ONE Mega by connecting it with a computer or a wall adapter via Micro USB cable. When it's fully charged, the button light will go out. Battery display function: the light will flash slowly or stay lit when battery level is high, on the contrary, the light flashes in frequency.